Hamilton College received a A+. Washington Monthly's ranking of 95 out of 224 of Affordable Elite Colleges - Overall Rank was a major contributor to this grade. High on a hill in upstate New York, and thus not technically in New England, Hamilton is nevertheless a charter member of the New England Small College Athletic Conference. It is named for Alexander Hamilton, who lent his name to the institution and consented to be a trustee, but never visited the campus. Today, the 200-year-old liberal arts college known for its emphasis on teaching students to write clearly and speak persuasively takes inspiration from its namesake, who was among the most influential writers and gifted orators of the new republic. Prestigious but not pretentious, Hamilton is also known for its open curriculum -- and perhaps for sledding down one wonderfully long hill. 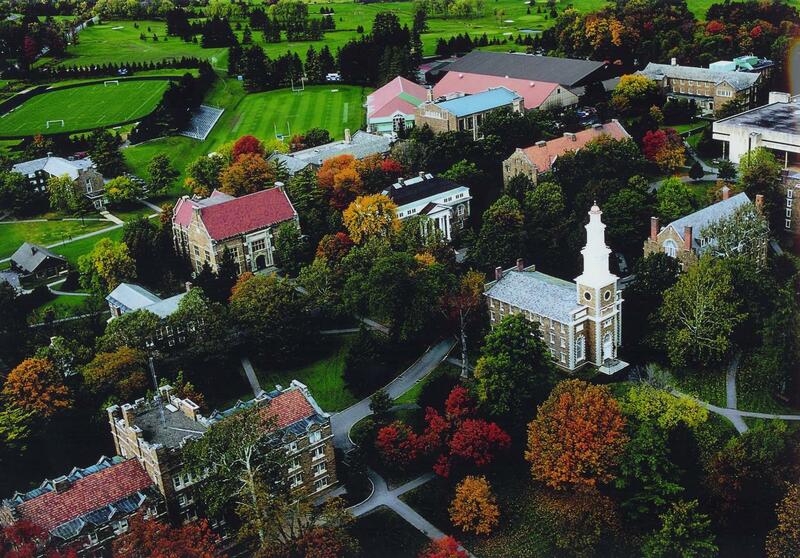 What are the top 3 reasons someone should attend Hamilton College? The school has an Open Curriculum. The school has an excellent education system. The campus is beautiful. What is a typical Hamilton College student like? Describe the type of person that should attend Hamilton College. The typical Hamilton student should be smart, mature, resourceful, innovative, and ready to be challenged and have fun. Students of both sexes benefit from the mix of old-boy tradition and right-brain flair. Hamilton did away with distribution requirements in an effort to encourage students to design their own curriculum. The admission team at Hamilton is adament about interviews. A small campus community that helps students create close relationships. Hamilton College is one of America’s original liberal arts colleges. Founded more than 200 years ago, Hamilton today is both traditional and progressive, having supplemented its primary focus on teaching students to think independently and communicate clearly with a co-curricular program that provides internships and other valuable experiential learning opportunities. The college’s 1850 students, who come from many different backgrounds and perspectives, participate actively in their education and are prepared to lead the change necessary in a diverse and global society. What are the top 3 things that students do for fun at Hamilton College? Campus housing is available for undergraduates and is mandatory for freshman. Housing deposit due : May 1. Housing deposit is not refunded if student does not enroll.. No cars. No pets. 26% of male students live in fraternities. 79% of students graduated in the top tenth of their class. The average student pays $20,755 for tuition, fees, and other expenses, after grants and scholarships. Total stated tuition is $45,620, in-state and on-campus, before financial aid. Learn more about financial aid at http://www.hamilton.edu/finaid. Estimate the net price for you at http://www.hamilton.edu/finaid/netpricecalculator. 92% of students graduated in six years. The typical (median) early career salary of Hamilton College graduates is $53,700, according to Payscale. Hamilton College participates in the NCAA Division III for college athletics. Want more info about Hamilton College? Get free advice from education experts and Noodle community members. Sure! What kind of questions do you have? Hello Sir, I am Aakash Kumar from pakistan.I have done my matriculation from Karachi,Pakistan.I want to do my 1st year in USA.So,I want to ask there is 1st year in your college or can you suggest me good colleges located in new york,America? Thankyou!